Syrian War Report – Jan. 21, 2019: Kurdish Political Leadership Reveals 10 Demands To Damascus 4.8 out of 5 based on 5 ratings. 5 user reviews. Kurds has demands ? 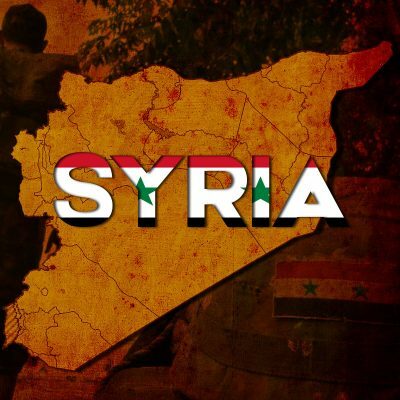 Syrian goverment will decision size of demands , how they underfucking legal goverment of Syria with USA ! Why don’t they also ask the Syrian government to give them a reach around while they’re at it…..
Backstabbing traitors. Screwed over their countrymen and are only surviving because of the our American soldiers and equipment. If Kurds get some independent Kurds state , from Syrian goverment , Kurds can invites burglars USA a they stay on Kurds land for ever ! Never believe biggest liar all around the world , Trump ! When Damascus falls so shall the region..and wider. Which is exactly what the British Empire created in the Middle East when they installed their Jewish citizens to colonize Palestine and be a constantly festering open sore! Independent foreign policy? Therefore the Kurds can establish relations with all of Syria’s enemies including Israel. The border is a national security priority, and not negotiable, and besides police, all military must be under national direction. The demands are ridiculous as a whole. It would be in the best interest of Syria to give some autonomy to the Kurds (which Syria has already done de facto), but not “employment of their own independent foreign policy, that is just some ridiculous nonsense to sabotage a possible agreement. The Kurds are in no position as United States and Israeli vassals to make any demands. Let them make demands on the US/Israelis. Traitors have no rights. 10-Distributing the Syrian wealth to the Syrian regions in a fair manner. Sorry, SF, but you don’t know what you are saying, and the guy or guys that made this report for sure don’t have juridic formation, as the 10 points are written, all depends of what the reformed constitution will say, and nothing there forbids that the autonomous administrations would not be only local ones, and the only point to blow up is the three, what it’s easy, by the formation of electoral areas, for example, a part of the representatives will be elected second a certain number of electoral areas. Thanks for the clarification. It shows that the South Front report is highly distorted and wrong, as I suspected when I read it, notably regarding item 6. Something like this: elected local authorities will form local autonomous administrations with local competencies in the therms of the Constitution voted by the Syrian people, they can form regional associations, in the therms of the Constitution, to execute their competencies in common projects. International contacts of the autonomous administrations, associated or not, are aloud in the therms of the constitutional competencies of the autonomous administrations. Judiciary police and judiciary system are a single unity on the Syrian land, etc., etc. It’s only 10 points to a negociation, nothing more, better to negociate than to make war, if it will be impossible to negociate, then, okay, war. What is your source for your version of the 10 points? The South Front report doesn’t give a source for its version either. Isn’t any version of the 10 points, it’s only an example of an counterproposal that those 10 points aloud to do. The article makes no mention of the January 16 terrorist attack which targeted US victims on routine restraunt patrol in Manbij, ISIS initially said it was a suicide operation in-house using an explosive vest, Trump stated immediately that he still wanted out.implying a wind down of involvement in the region. No one that I’m aware of blamed the YPG not even Turkey the reason being it’s bad form to rubbish IS in Turkey but everyone knows it was a planted IED by YPG. LOL, one cannot speak of keeping Syria united and allowing a part of Syria to employ its own independent foreign policy—at the same time!